I listened with extreme horror and irreversible incredulity in respect of former President Mahama’s seemingly unmeasured and somewhat incoherent response to the unfortunate incident which occurred during the Ayawaso West Wuogon by-election on Thursday 31st January 2019. It is absolutely baffling to see former President Mahama fighting tooth and nail to reclaim the presidency barely 25 months after being voted out of power by discerning Ghanaians for his dreadful errors in judgement amid massive economic meltdown. With all due respect, former President Mahama had had enough opportunity to show discerning Ghanaians his ability to steer the nation to the right direction but woefully failed to do so. So, what else does he want at the presidency? Strangely, however, ex-President Mahama is moving up and down the country and unfairly upbraiding President Akufo-Addo who is prudently fixing the unprecedented mess left behind by the erstwhile NDC administration. Perhaps more than anything else, ex-President Mahama is still holding on to the phantom belief that Ghanaians suffer from memory loss and therefore cannot recollect the revoltingly ugly events which took place under his watch. Dearest reader, if that was not the case, what would then drive a president who woefully brought the country to its knees through catastrophic decision-making to relentlessly accuse his successor who is doing everything humanly possible to undo the massive mess? After all, wasn’t the same former President Mahama who once claimed that Ghanaians have short memory? Yes, he impertinently referred to Ghanaian people as a bunch of amnesia sufferers (emphasis mine). But contrary to former President Mahama’s claims, discerning Ghanaians have miraculously overcome their hitherto beguiling, albeit harmful memory loss if the 2016 election is anything to go by. Given the circumstances, we cannot deny or hide the fact that former President Mahama and the vast majority of the brassbound NDC loyalists have been going through a process analogous to Dr Elisabeth Kubler-Ross’s stages of grief. Indeed, we have unfortunately been witnessing unbridled reactive emotional responses from the likes of former President Mahama ever since the NDC lost the 2016 election to the NPP. Given the unobjectionable economic meltdown under his watch, Ex-President Mahama should do the right thing by eating humble pie and apologise to the good people of Ghana for wilfully messing up the once favourable economy. Truly, if former President Mahama cannot see the need to beg discerning Ghanaians for forgiveness for woefully dragging the 14% economic growth in 2011 to a disappointing 3.6% by December 2016, then what right does he have to come and stand in front of the good people of Ghana to solicit their votes in 2020? Does former President Mahama really believe that he owes no one apology for needlessly raising Ghana’s debt from GH¢9.5 billion in 2009 to an incredible GH¢122.4 billion by December 2016 with a little to show for? Verily, some of us do not suffer from chronic amnesia and can recall vividly that Ghana’s Cedi to US Dollar in December 2011 was GH¢1.65 to $1. However, due to calamitous economic decisions, within five years the exchange rate took an unbelievable flight and stood at GH¢4.20 to $1 by December 2016. Frankly stating, the good people of Ghana cannot so soon forget and forgive former President Mahama for the business crippling ‘dumsor’ in the last five years of the erstwhile NDC administration. If anything at all, former President Mahama should stop taking Ghanaians for granted and ask for forgiveness for terribly collapsing the Agricultural sector by reducing the growth from 7.4% in 2012 to a miserable 2.5% in December 2016. If former President Mahama really wants to lead the country again, then he should render an unqualified apology to the good people of Ghana for shrinking Ghana’s GDP from $47 billion in 2011 to $37 billion by December 2016.
Who says that discerning Ghanaians have forgotten and forgiven former President Mahama for recklessly giving out large portions of Ghana’s scarce resources to parasitic creatures? Ex-President Mahama should, as a matter of urgency, apologise to discerning Ghanaians for unjustifiably giving apologists like Madam Akua Donkor of Ghana Freedom Party (GFP) two four wheel drive cars and a luxury bungalow (estimated to cost a staggering $470,000) for no work done. Why must Ex-President Mahama think he does not owe the good people of Ghana any apology for flagrantly giving away 58% of Ghana’s bauxite to his sibling Ibrahim Mahama on 29th December 2016, just a little over one week before exiting power? In addition, former President Mahama should do the honest thing by apologising on behalf of his brother Ibrahim Mahama for egregiously evading import taxes to the tune of GH¢12 million during his tenure in office. 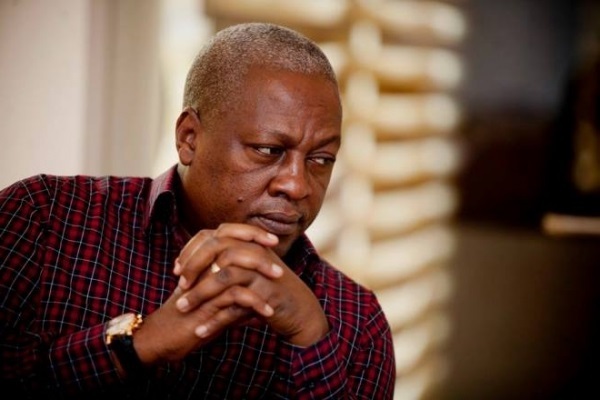 What is more, former President Mahama should acknowledge the concerns of Ghanaians over the purported GH¢800 million dubious judgment debt payments, including the GH¢51.2 million to Woyome, $30 million to the Waterville and $18 million to Isofoton which resulted in the drastic reduction of capital expenditure and as a consequence, most contractors were not paid by the erstwhile NDC administration. So is former President Mahama not concerned about the misappropriation of $175 million loan facility secured in 2012 which was meant to take care of seven district hospitals but the NDC hierarchy misapplied it on the blind side of Ghanaians? To be quite honest, some of us would be extremely surprised if Ex-President Mahama failed to beg Ghanaians for forgiveness before 2020 general election for surreptitiously diverting $6 million of a government loan facility of $175 million meant to support seven district hospitals into researching the then governing NDC party’s chances of winning the 2016 general election. How pathetic? Well, former President Mahama should not think that Ghanaians still suffer from chronic memory loss, and therefore cannot recollect the over GH¢200 million SADA funds invested on trees which were reported to have burnt down and the guinea fowls which flew to the nearby Burkina Faso without a trace. How bizarre? Even though a competent court of jurisdiction has convicted and sentenced two of the numerous NDC officials over the embezzled GYEEDA funds meant to provide suitable employment for the youth of Ghana, former President Mahama must eat humble pie and apologise to Ghanaians for superintending over such mess. Besides, former President Mahama definitely owes discerning Ghanaians an unconditional apology over the scandalous Bus Branding, the Brazil World Cup, SUBA, NCA, amongst others. From the look of things, unless former President Mahama decides to render an unqualified apology, the good people of Ghana will continue to ventilate their arousing disgust over his dreadful errors in decision-making which culminated in harsh socio-economic standards of living. Interestingly, whilst the Mahama’s loyal supporters have promised to move heaven and earth to bring him back as the party’s next presidential candidate, the critics of Mahama are insisting that he was perceived as corrupt and incompetent during his time in office and must thus be replaced with an incorruptible and competent flagbearer. In as much as the critics have a genuine concern in respect of former President Mahama’s irrevocable incompetence, the diehard supporters will somehow succeed in their quest to bring back Mahama as their flagbearer. In any case, the vast majority of the NDC loyalists are living in a denial about former President Mahama’s much touted incompetence, and will thus choose him over any other presidential aspirant. But the question one may ask the brassbound Mahama loyalist is: where is the justification about former President Mahama’s competence when a GH¢9.5 billion debt former President Kufuor left in 2009 rocketed to an incredible GH¢122.4 billion in just eight years with a little to show for? How can the diehard supporters convince some of us about former President Mahama’s ability to lead Ghana again when he woefully shrunk Ghana’s GDP from $47 billion to $37billion in five years? How could the gleeful supporters justify former President Mahama’s suitability to lead the nation again when he abysmally dragged an economic growth of around 14 per cent in 2011 to a squeamish 3.6 per cent as of December 2016? Apparently, President Mahama and his government’s unpardonable incompetence and corrupt practices resulted in excessive public spending, less efficient tax system, needless high public deficit and destabilization of national budgets, heightened capital flight and the creation of perverse incentives that stimulate income-seeking rather than productive activities. On the whole, the successive NDC governments have proven to be worst economic managers who can never improve upon the socio-economic standards of living of Ghanaians. But despite their unpardonable coarse governance which brought about their heavy defeat in the 2016 general election, the NDC faithful hold a faint hope that they will soon unveil their ‘Messiah Mahama as their 2020 flagbearer and bounce back and recapture the power from the NPP. Nevertheless, I, for one, do not envisage the NDC returning to power anytime soon with former President Mahama, judging from the unprecedented economic mess he left behind. The unbridled corruption, the arrogance of power and the unobjectionable incompetence which culminated in economic hardships are still fresh in the memories of discerning Ghanaians. Unfortunately, politics has ceased being the noble profession it used to be. Needless to stress that politics has been dominated by wolves in sheep’s clothing. It would thus seem that the vast majority of the modern day politicians’ ostensible preoccupation is to manipulate their way to power and pursue their vested interests.